Our last blog post on weddings was all the unique venues that Maui has to offer. 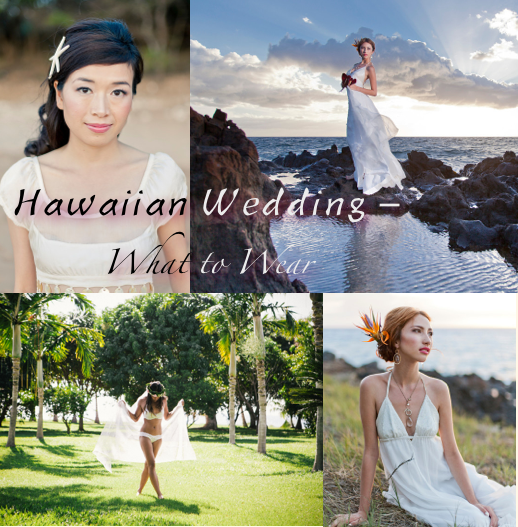 Today’s post is about trends in bridal attire, and if you thought there were lots of choices for venues- there are even more for bridal gowns- because since we are in Hawaii, the sky is the limit! And as usual, the below offerings are designed or made right here on the island of Maui! Maui Made checked in with our go-to stylist, MeiLi Autumn, to see what’s trending with Hawaiian bridal gown styles in 2014: “Maui brides run the gamut of adhering to a traditional style to having a unique style that is more beachy and casual,” MeiLi shared. Where to find these beautiful gowns? Tamara Catz offers several different wedding gowns, available online and in their flagship store in Paia. Mahalo to all of our contributors for this beautiful post!! !